The Tuesday/Thursday session will end on Thursday, April 25th. Paddling Panthers swim lessons include all levels of the American Red Cross Learn-to-Swim Program. Lessons are taught by American Red Cross certified Water Safety Instructors. All participants in this program will be assessed on the first day of class to ensure proper class level enrollment. Available to family members of UNI students, faculty, staff, and alumni. We recommend registering right away if you have specific preferences or schedule constraints. Questions about Levels or Clarifications? Ask us now! That way you can get into the correct level right away. You must be a parent or guardian of the children you enroll. This is for liability purposes. Recreation Services implemented a new software system last fall for registration. This has been a work in progress and will continue to be. We appreciate your patience and understanding during the process of transitioning to a new registration system this past year. That being said, please make sure you are able to successfully get into your account BEFORE the morning of registration. If you are an alumni and graduated prior to 2008 you will need to do some additional steps that would be helpful to do couple days before registration to make sure you can get into your account efficiently and smoothly. See the Instructional PDF in the drop-down menu below. If the age restriction appears on the child the system is tracking the age the child currently is and not the age the child will be at the start of the session. Even if the child will be the correct age at the start of the session, the system is reading the current age you put in the system. To go around this, you will need to adjust the age for the registration and change it after the child is registered. We wish we could change this! 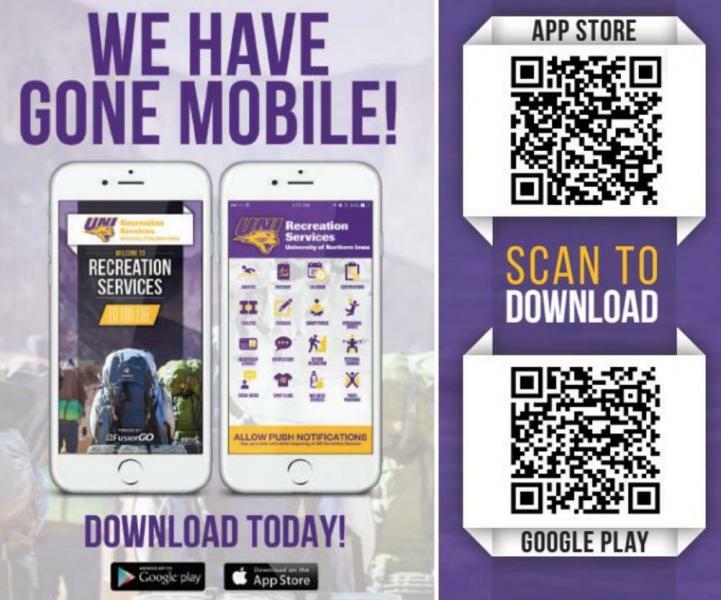 Feel free to register for classes on-the-go on your smart phone! Session dates and times are as follows: Sessions are comprised of 8 lessons each. Parent/Child and Preschool are 30 minutes in length, Levels 1-6 are 40 minutes in length. All summer sessions are Monday through Thursday for two weeks. This class is designed to help children ages 6-36 months and their parents feel comfortable in the water. Parents and/or guardians must participate in this class. The basic skills learned are water entry, bubble blowing, front kick, back floating, and underwater exploration. Swim diapers are required for participation in this course. This class is designed to help children age 3-4 years feel comfortable in the water. Skills learned in this class are combined stroke on front and back, underwater exploration, and using life jackets. This class is designed to help children feel comfortable in the water. Submerging mouth, nose, and eyes, floating on front/back and swimming on front/back using arms and legs will be emphasized in this class. Minimum age = 4 years. This class gives students success with fundamental skills. Front/back glide, treading water, and swimming with combined strokes will all be introduced in this class. This class builds on skills learned in Level II. Front/back crawl, diving, safety skills, survival float, deep water skills, and butterfly kick will all be introduced in this class. This class develops confidence in previously learned skills and improves other aquatic skills. Elementary backstroke, breaststroke, scissors kick, and survival skills will all be introduced in this class. This class will further coordinate and refine the strokes previously learned. Surface dives, flip turns, sidestroke and survival swimming will all be introduced in this class. This class refines the strokes so students can swim with efficiency, power, and smoothness over greater distances. It also prepares students to participate in more advanced courses, including Water Safety Instructor and Lifeguard Training Courses. There is a minimum enrollment of 4 "Paddling Panthers" for each of the regular swim lesson classes. Preschool and Levels 1 through 3 will have a maximum enrollment of 6 swimmers per instructor. Parent/Child and Levels 4 through 6 will have a maximum enrollment of 10 swimmers. Inclement weather that includes lightning will require the closing of the pools. The pools will close when a storm is in the area. You may choose to call the WRC prior to driving to the building. Please call the main welcome desk at (319) 273-2413 for information concerning lessons and severe weather closures. Unless the university and/or the WRC is closed we will continue lessons with dry land training. How do I register for group swim lessons? Recreation Services launched a new registration software. Follow the instructions in the PDF to login and use this system when registering for a program. The Natatorium is located in the lower level of the UNI Wellness and Recreation Center. Swim lessons are held in both the lap and leisure pools, depending on the level. Can I make up a missed class due to illness or schedule conflict? We do not allow make up classes due to illness or schedule conflicts. Where should I park for swim lessons? If you do not have a UNI Parking Permit, parking is available in the metered lot on the west side of the Wellness and Recreation Center. Metered spaces usually carry a $1/hour fee and are monitored 7 am - 9 pm, Monday - Friday. Parking lots are not monitored on Saturday or Sunday but may close depending on large events being held on campus. What should I wear to swim lessons? Adults should wear an athletic bathing suit. Children who are not potty trained must wear a swim diaper underneath their bathing suits. Swim Diapers are not sold by Recreation Services. Goggles are not required but may be worn during lessons. Can both parents be in the water for the parent/child class? Yes, both parents may be in the water with their child(ren) during the parent/child classes. Do parents need to be in the water during preschool classes? No, parents do not need to be in the water during the preschool class. It is encouraged that parents sit in the chairs near the class. Where can I change my child before and after classes? There are men’s and women’s locker rooms connected to the pools. Children four years of age or younger are permitted in the opposite gender locker rooms with their parents. Additionally, there is a family changing room connecting to the leisure pool in the SW corner. Can I work out while my child is in swim lessons? Members and non-members are not permitted to work out during swim lessons. They should be either on the pool deck or on the pool balcony to provide assistance if needed. Can I drop my child off at swim lessons, and come back and get them? For safety purposes, parents must stay in the Wellness and Recreation Center building during their child’s swim lessons. My credit card has been charged the wrong amount. What do I do? Please contact Meredith Gregg at greggmab@uni.edu for immediate assistance.